When I go into a branch, I may have to wait a few minutes because of a line, which is normal. 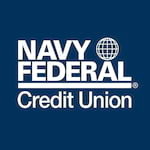 I have had to call the NFCU customer service for credit card issues, and once when I disputed a charge, they refused to back me when I was in the right. I did get a car loan, which was painless. Besides that, I've always dealt with customer service and hadn't had any problems. They're always nice and helpful to me. I've recommended NFCU to family members.